Born: 28 January 1871, Stirling, Scotland. Andrew Milroy Fleming, medical practitioner, was the son of Reverend John Fleming of Edinburgh. After his education at Durham School he received his medical training at the University of Edinburgh, qualified as Bachelor of Medicine (MB) and Master in Surgery (CM) in 1893, and became a Fellow of the Royal College of Surgeons of England (FRCSE). During 1893 he served briefly as assistant physician to Victoria Hospital for Consumption and Diseases of the Chest in Edinburgh. Towards the end of that year he came to the Cape Colony, was licensed to practice there on 22 February 1894, and was appointed junior house surgeon at Carnarvon Hospital, Kimberley. In October 1894 he was appointed as medical officer in charge of Salisbury Hospital (now Harare, Zimbabwe). He married Philadelphia Alice Fisher in 1896 and they had two children. That same year he acted as principal medical officer to the forces of the British South Africa Company (which administered Rhodesia at that time) in Mashonaland, where a rebellion was suppressed. In April 1897 he became medical director and inspector to the British South Africa Company and principal medical officer to its police force. His post was subsequently named medical director of Rhodesia, a position he retained to about 1931. During these years he played a leading role in establishing a medical service in that country. He was honoured as a Companion of the Order of St Michael and St George (CMG) in 1898. By that time he was a member of the [second] South African Medical Association. 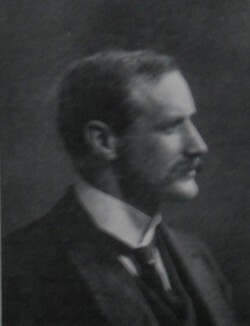 Fleming probably returned to England for some time, as he was awarded the Diploma in Public Health by Cambridge University in 1903. Two years later he published a paper on "Malaria, its history, prevention and cure..." in the Rhodesia Agricultural Journal. It was subsequently issued as a pamphlet (Cape Town, 1905?, 10p). Another paper by him, "The prevention and treatment of blackwater fever", was published in the Medical Journal of South Africa (1916, Vol. 12(5), pp. 79-80) and in the South African Medical Record (1917,Vol. 15(5), pp. 68-69), and in the form of a pamphlet by the South African Anti-Malarial Association (Johannesburg, 1915?, 4p). Anglo-African whos who and biographical sketch-book (1907). Retrieved from https://archive.org/stream/angloafricanwhos00will/angloafricanwhos00will_djvu.txt on 17 November 2016. Google scholar. http://scholar.google.co.za Publications by A.M. Fleming. Pietermaritzburg Archives Depository, Vol. NMC34. [List of medical practitioners... in the Province of the Cape of Good Hope as on 31 December 1915].